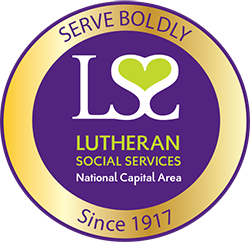 LSS/NCA works with a range of partners and other local organizations to provide aid to arriving refugee families. Sometimes we may not have all the answers, but we can help point you in the right direction. Below is a list of resources for refugees and immigrants making the United States their new home. All LSS/NCA clients can follow up with LIRS for IOM loan questions and information. This Citizenship Toolkit contains a variety of resources collected and produced through CLINIC’s citizenship projects. With a collection of over 100 resources, it is designed to assist in providing citizenship services and civic participation opportunities for the most vulnerable applicants. IMPRINT (Immigrant Professional Integration) connects immigrants with resources and prospective employers, so that they may continue the quest for their unique American dreams. The Department of Laboring, Licensing, and Regulation is a great resource for employment and job safety laws, as well as information on how to apply for unemployment insurance while looking for new job opportunities. The Virginia Department of Labor and Industry provides workplace safety information, posters, and resources for reporting unmet regulations. Job permits, wage claims, and apprenticeship information for the state of Virginia can also be found here. Higher Advantage offers tools and skills to refugees and prospective employers including webinars, downloadable tips for job fairs, and a list of mentoring resources – all dedicated to helping our new neighbors become independent and self-sufficient. World Education Services, a non-profit organization for employers, immigrants, and students, hosts credential evaluations as well as a guide to seeking the appropriate credentials or licenses needed to continue a profession or educational path from another country.